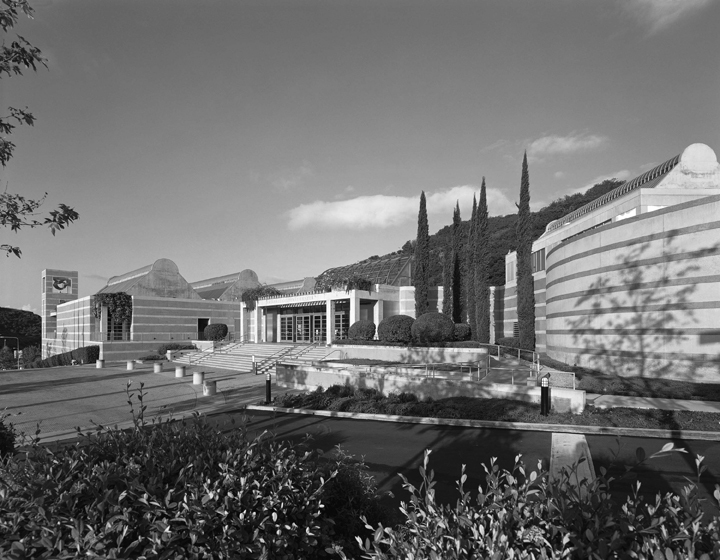 Timothy Hursley, “Entrance to the Skirball Cultural Center, Los Angeles.” Courtesy of the Skirball Cultural Center. On June 6, 2009, I found myself sitting in the back of the room at a conference called Exhibiting Ourselves: Representing Cultures in Museums and Cultural Centers, whose goal was to create a conversation about ethnic museums as grassroots organizers in Phoenix began to plan a Latino cultural and arts center. The organizers invited me to "give a different perspective" and in the words of one organizer, Casandra Hernandez, "to shake people out of their complacency." My talk was scheduled for the next morning and was supposed to be about what Jewish museums can teach Latino museum planners. As I sat in the room, one of maybe a dozen white folk in an audience of more than one hundred, I quickly realized that my talk would have to be both about what Jewish museums can teach and what they cannot teach Phoenix's Latino community activists. The evening keynote address was given by Karen Mary Davalos, chair of Chicano/a studies at Loyola Marymount University in Los Angeles. She gave a fascinating history of the "public" museum—public always in quotes for her, as she doesn't buy the idea of a neutral museum serving a nebulous, universal citizen (I am still in favor of "public" despite the repetition, since "agenda-less" is less elegant and maybe too apparent)—and then the rise of Latino museums as a challenge to the public museum in the late 1960s. As a student of Jewish museums, which were launched by bourgeois Jews in late nineteenth-century Europe, I was surprised at the late date of the appearance of Latino museums and the radically different political agenda that sparked the Latino museum movement. I was also surprised that African American museums, the subject of a talk the next day, have been around since the mid-nineteenth century with the birth of all-black colleges and the emergence of an American black middle class, and have things in common with the origins of Jewish museums. Davalos argued that the radical identity politics that gave birth to Latino museums should inform the new museum project in Phoenix. She said that Latino museums should stop trying to emulate the so-called public museum. Something didn't feel right. It sounded like 1970s Chicano/a politics being articulated to a twenty-first-century audience. Davalos did not argue for an essentialist vision of Chicano identity that should define this new center. Rather, for her, the group to be represented by the museum has always been hybrid or mestizaje. But the question and answer period was frustratingly banal—easy questions, self-congratulations on the place Latino museums had in some cities, and much decrying the fact that they were not ubiquitous across America. I wondered how my talk about Jewish museums would go over the next morning. 1. Is a Jewish museum dedicated to the critical study of Jewish culture and art or to celebrating community? What if these two goals conflict? 2. Is a Jewish museum's main audience Jews or do Jewish museums want to incorporate Jewish culture into the broader American cultural fabric and try to reach a non-Jewish audience? Why are so many Jewish museums trying to universalize their mission statements and even their names like Boston's New Center for Arts and Culture, which "presents performances, art and ideas that explore universal themes through a Jewish lens"? How does this vision affect what and how Jewish museums exhibit? 3. Are the permanent exhibits of Jewish museums, at heart, a means of teaching acculturated American Jews what they would have learned from family two generations ago? I argued for a more responsive and visionary Jewish museum, and by corollary Latino museum. Ethnically specific museums must take seriously the rights and responsibilities of being a member of their specific community but not simply by adopting the dominant community politics that hold sway at a given moment. I reached the end. The audience was with me, so I decided to drop my last sentence in light of the previous night's address: "By turning a museum into another means of ethnic cheerleading, curators risk appealing to a current constituency at the expense of future expansion and growth." The question and answer period was lively as we very quickly recognized the privilege of the American Jewish community to build massive museum complexes. Carlos Tortolero, director of the National Museum of Mexican Art (in Pilsen, Chicago), and a major player in the national and international Latino art scene, had earlier argued that ethnically- specific museums must not be tempted to try and compete with "public" museums and should keep themselves located in the neighborhoods from which they emerged. Heard alongside my talk, his unintended subtext was that Latino museums must resist a trend of many Jewish museums, which have moved from their small spaces embedded in Jewish contexts into large complexes located in the center of a city's museum district. I was thinking specifically of Spertus Museum's new expensive building right in the heart of Chicago's museum district and the Skirball Cultural Center's move from a small space on the Hebrew Union College campus in downtown Los Angeles to a hilltop next to the Getty Museum. There is also New York's Jewish Museum, which sits on Fifth Avenue and Museum Mile in the Warburg mansion in the heart of the old, established German Jewish community. It used to be in the library of the Jewish Theological Seminary. That example would have only further highlighted American Jews' own race and class privilege, their status as a so-called "model minority" in this audience of Latinos, whose communities are located far from most museum districts. Later in the day, the ten invited guests engaged in a roundtable and my original sense of unease from the first night returned as Tortolero and Davalos argued for a Latino museum that was not aimed at white people, not located where white people live and play. For me, the irony of their position made itself apparent the night before at Phoenix's First Friday Art Festival, when the city's multiculti young population pours out into its central arts district to drink, eat, listen to music, and peruse art exhibited in the city's local galleries. Conference participants went to a local gallery exhibiting some of the city's emerging Latino artists, and guess what . . . Latino art hung on fancy white walls with a very ethnically mixed crowd. This thought was in the back of my mind when the internal debate became public at the close of the conference. In our roundtable, a young self-identified Latina student asked Tortolero why he was proposing such a militant, anti-establishment, potentially anti-white museum for Phoenix when, in her words, "I'm multiracial, my friends are Latino, white, and everything in between." It was at this point that I realized how my comments and critiques of American Jewish museums might be applicable in the Latino case. Latino museum builders do not have the same pressure of pleasing community donors, since most of their funders, like large foundations, city governments, and individual donations, are not usually the same people as the community the museum serves. But orthodoxies reign on both sides, and I was witnessing a conversation between a Chicano/a orthodoxy that maintained an "us/them" approach to the ethnic museum and a young Latina woman who had trouble seeing us vs. them and hoped that a Latino cultural center could "be for everyone." Now the conversation was starting to sound familiar to ones I have with American Jewish museum professionals. "How many Jewish museums are there in the US?" "Probably 300, ranging from one room storefronts to big museums," responded Fath Davis Ruffins, curator of African American History at the Smithsonian. "So let us develop our own network of museums before we engage in rethinking them." Tortolero's words reminded me that all communities have their "conservative" politics— for Jews and Jewish museums, they may involve Israel; for Latino institutions, they are about relationships to the not so distant past of Chicano politics. In both cases, ethnically specific museums struggle to envision their future audiences as they continue to serve the communities from which they emerged. 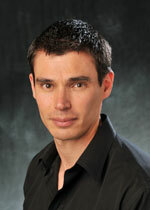 David Shneer is associate professor of history at the University of Colorado at Boulder. He is the author of Through Soviet Jewish Eyes: Photography, War, and the Holocaust (Rutgers University Press, 2010).